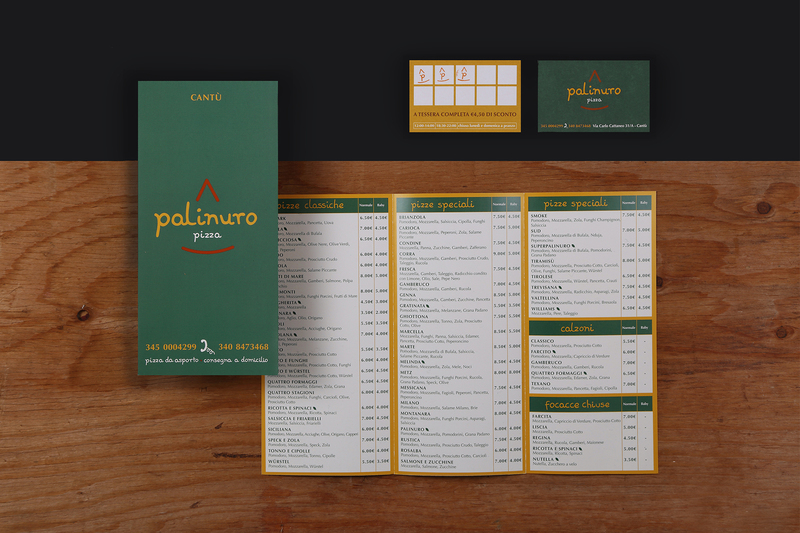 Palinuro is a pizza delivery and takeaway place, located in the heart of Cantù. To celebrate the new management takeover, I developed a fresh and captivating coordinated image. The logo was created with a hand-drawn lettering and the chosen color palette was declined into all the printed materials (business cards, menus, signboards…) and on the new furnishings of the place.